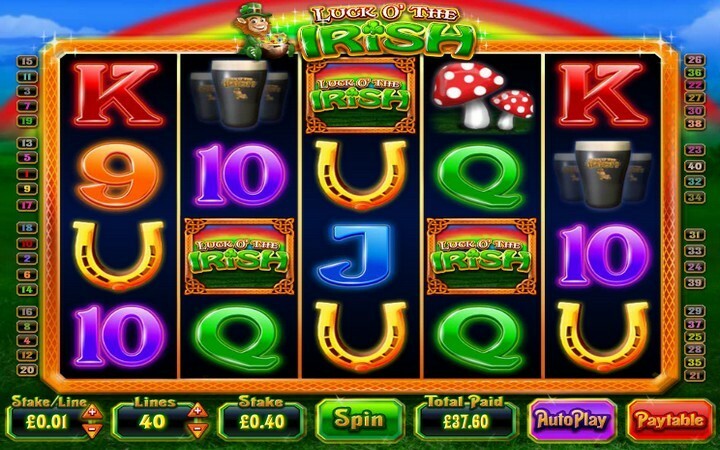 Among the numerous online slots inspired by Irish folklore, the Luck O’ the Irish slot machine is a step forward. Not only in the sense of graphics but also cash out. The Blueprint Gaming gave their best when in 2016 it released this 5 reel and 40 adjustable pay lines pokie. 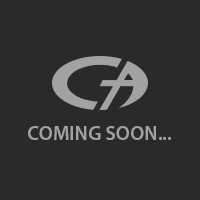 Recognizable gambling symbols probably are not a surprise. Everything, from the green hills, over leprechaun, to the treasure and the shamrock, is present. There are twenty different symbols in total, together with the Wild and the Scatter elements, as in many other games. The main icons a bit deviate from the theme of Ireland (e.g. classic 10 to A cards or different shiny diamonds). The Luck O’ the Irish slots game also includes the Scatter. The pokie`s logo. When three of these land on reels (the 2nd, 3rd, or 4th), the Free Spins feature gets activated. What is important to emphasize is that there are two basic forms of ways to play. The Standard and the Fortune method. The second one stands for four separate sections that spin one after another. During this level of the Luck O’ the Irish slots free, golden coins that show up on the display turn into same cards and increase chances for rewards. The top prize is worth 500 coins and while there is neither progressive jackpot nor multiplier bonuses. However, there is a wide betting range. From 0.01 up to 10 credits per line and 400 as the maximum stake. All that also available in Autoplay gaming mode in case bettor gets tired. Even though there is no thematic bonus and round, if you decide to play Luck O’ the Irish casino machine, you can expect decent second best payment of 400 coins for five red diamonds. Moreover, blue and green games bring 300 jettons when five of them land on columns. More detailed information about payoffs can be found easily, while the interface is completely clear and not confusing. However, the closer description of the pokie is missing. On the other hand, the Blueprint Gaming provides the RTP statistics of 94,95%. Not the best possible value but it is tolerable. The free online Luck O’ the Irish is available in almost every reputable casino. Have in mind that the no charge option is possible with the demo version, while the real money form usually requires registration and some kind of terms and conditions for the win. One can try it out for free at Vera & John without any fee and previous deposit.